Aston Martin. Few two-word combinations better herald the arrival of something cool. Ever since it's inception in 1913, and the 1947 David Brown takeover, the Gaydon-based manufacturer has been producing some of the coolest cars in automotive history. Even though the company was often in financial troubles, one ridiculously charismatic car after another rolled out of the factory. 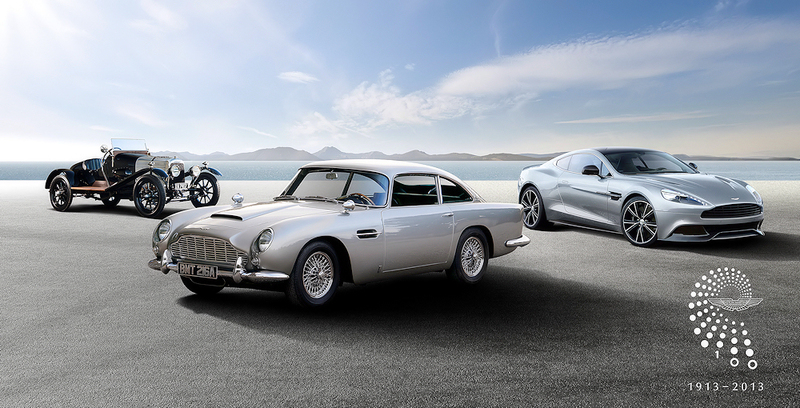 DB5, Vantage, Virage, Vanquish, Rapide: all names that just speak to the imagination. But one can argue that one car in particular has been more important to the company than most: the modern-day Vantage. The name 'Vantage' first appeared on an Aston Martin in the early 1950's, when the company started offering a more powerful version of the DB2. It offered larger carburetors, an improved camshaft and higher compression ratio pistons, boosting the power output from 105 to 125 horsepower. The Vantage name came from humble, yet stylish beginnings - much like the brand itself. The company continued to use the Vantage name in such a way for a good twenty years. In that time the world saw the likes of the DB4, DB5 and DB6 Vantage. That ended in the early 1970's, when the Vantage became its own model. The little-known 1972 Vantage marked the first time Aston Martin referred to the Vantage as a sepate model. Only 71 were built. After 1972, the Vantage officially became known as a model, and not as a performance version. This changed again in the mid 90's, with the Vantage name this time marking the performance version of the 1989 Virage. Between 1993 and 2000, 'Vantage' was once again used to indicate a high-performance version, this time of the Virage, later known as V8 Coupe. After the Virage adventure, the Vantage name would pop up once more, as the more powerful sibling to the underappreciated DB7, before finally growing its own wings in the early 2000s. In 2005, the illustrious Vantage name was given to the production version of the AMV8 concept, and became known as the baby-Aston we all know and love. The original car was powered by 4.3L N/A V8 producing 380 hp. This was the engine present in the particular car that I drove. The engine was coupled with a Sportshift sequential gearbox. The heart of the V8 Vantage. Every car you drive comes with its own prejudices, and the Vantage is certainly not an exception to that rule. I expected it to be a restrained, comfortable cruiser with a fairly large amount of comfort. And while some of that is certainly true, I was definitely proven wrong on more than one occasion. For starters, it's much easier to drive than I expected. The steering and brakes are fairly heavy, which is to be expected in a performance car, but I got used to it fairly quickly. The vision in and around the car is also fairly good. It's easy to see out of, which significantly improves driveability. The interior is a gorgeous place to be, and you can feel the craftsmanship throughout. However, I'd be lying if I said there aren't a few problems with it. The seats, for example. Much like the Granturismo I drove last year, the Vantage's seats felt quite uncomfortable. Maybe this was because I couldn't figure out how to set my seat properly, but I found it especially ill-fitting in the lower back-area. And even though I agree it is nice in terms of looks, having the controls for the gearbox high up on the center console does not seem like the most logical place for them to be. It's quite remarkable that 'drive', arguably the most important button if you actually want to get anywhere, is the furthest away from the driver. It would actually be easier for you to ask your passenger to press it. Furthermore, I couldn't help feeling like some of the buttons on that same center console looked and felt a bit cheap. But, considering this Vantage was a decade old, it can be forgiven. Stunning to look at, but a bit unpractical. Much like the car itself. The Vantage draws parallels to the Granturismo in more ways than just the interior. Much like it's Italian competitor, you will be willing to forgive its flaws when you start driving it. Because, much like the Italian, the sound is incredible. It's not the same at the Maserati though. Where the former is more of a soulful howl, the Vantage just sounds downright angry at full chat. Aston Martin recently started coining the phrase 'Brute in a suit' in regards to the new DBS Superleggera. But I think that same phrase applies to the Vantage a lot more than most people realize. Is it the most comfortable? The most practical? The best handling? The fastest? No. But you still want it. You still want to drive it, to love it. You want to own one. And I think that's because it's more than a car. Purely as a car, there are better alternatives out there. But the Aston Martin Vantage is more than that. It is something that makes you feel like a million bucks. And that's because it all comes back to what I said at the beginning: few two-word combinations better herald the arrival of something cool than Aston Martin. A Vantage is a way to arrive somewhere in supreme style, but also a way to leave in an incredibly noisily but equally cool way. And it's that same inherent coolness that makes you want to forgive all of its flaws. No matter how bad the seats were, I still stepped out of it, and for the next hour I just kept saying to myself: "I just drove a goddamn Vantage." That's what an Aston Martin does to you. To be honest: I want one. I really really really do.